Luxury Home Magazine (LHM), Portland/SW Washington https://www.luxuryhomemagazine.com/portland impacts the regions luxury real estate market as the leading resource for Realtors as well as Buyers and Sellers of luxury products and services. Husband and wife, Publishers, Emile and Raina Bonfiglio, have spent the past 16 years aligning themselves with top luxury real estate professionals, building strong relationships and offering proven results for their client community. Working together to compliment each other’s strengths, the couple has established a trusted brand and impeccable reputation with a magazine often referred to as the “Coffee Table Magazine” due to its distinctive size and high quality. Since its inception in 2003, LHM Portland/SW Washington has shown consistent growth and performance dominating market-share while providing a competitive advantage to Realtors as a complete marketing solution. Published bi-monthly, it circulates via direct mail and targeted distribution with digital and social media platform presence. 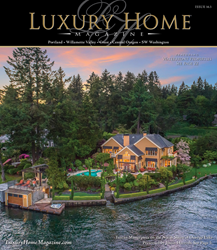 Luxury Home Magazine (LHM) Portland/SW Washington was established as a niche publication in 2003, representing the first magazine in the Luxury Home Magazine (LHM) portfolio. LHM Portland/SW Washington showcases a distinguished collection of waterfront, view, golf course, condo, town-home and rental properties illustrating the distinctive lifestyle of the Pacific Northwest as well as level of value and elevated standards that luxury specialists have come to expect. Established in 2002, LHM is a niche publication and media company representing the largest network of market-specific magazines featuring luxury homes, luxury real estate, luxury specialists, products and services. With coverage in over 22 national markets, LHM targets an affluent and influential demographic that captures a local, regional, national and international audience. Luxury Home Magazine (LHM), is a division of Sunshine Publications, Inc.: LHM Media Group.